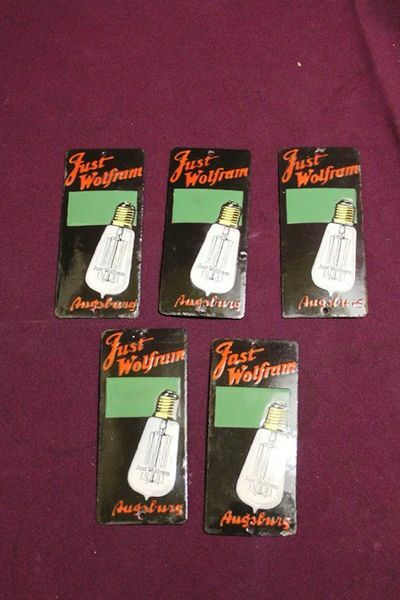 Small Just Wolfram Light Globe Door Finger Plate Advertising Enamel Sign. New Old Stock hence in Great condition. 5 available @ $850.00 each.